Specific toothpaste indicated for decreasing excessive salivary glucose. AnOxident balance® Toothpaste has a patented formulation that combines the fortifying action of milk proteins extract and plant extracts with the DUOX system clinically tested and effective in restoring the natural balance of the mouth’s pH, promoting antioxidant action and reducing the impact of excessive salivary glucose on teeth and gums quickly and effectively. 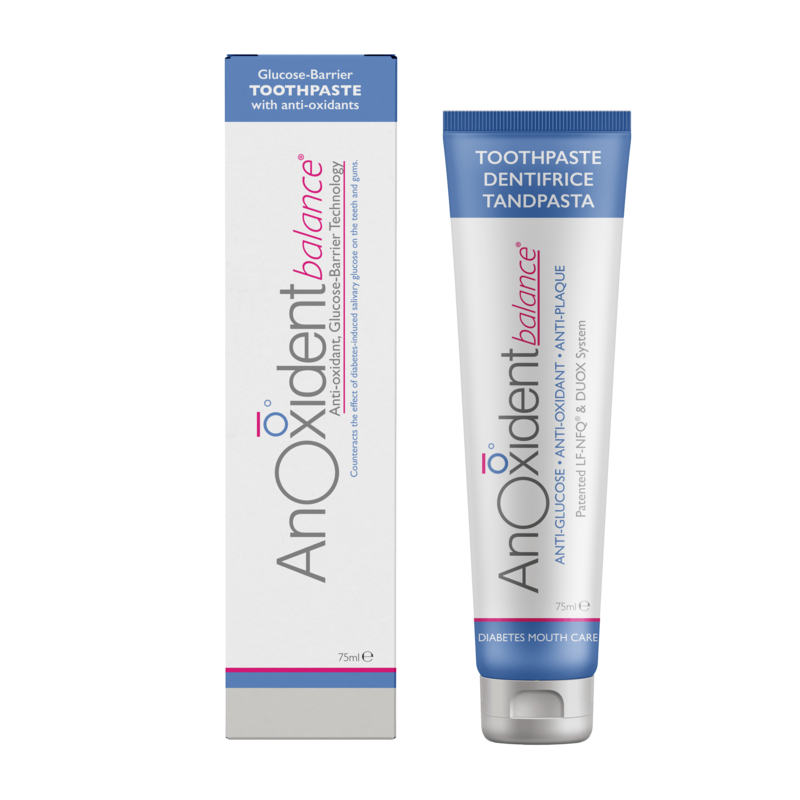 AnOxident balance® toothpaste contains easily tolerated flavors and ingredients and does not contain foaming agents, which may cause injury to the mouth mucosa. The formulation also contains Vitamin E, Vitamin C, glutathione and minerals, as well as fluoride, xylitol and lactoferrin-NFQ®.